A love of learning is universal in all children; it isn’t until they receive negative reinforcement from others that they start to withdraw and protect themselves which usually occurs about seven or eight years of age. Children are naturally curious and will test everything around them if given the opportunity. The job of a parent and an educator is to foster that sense of curiosity and let the child know that being curious is a good thing. When a child is a toddler they will have many questions about everything around them and want to experience the feel of touching all that they see. This may not be the best time in life to be showing them the glass blowing shop, but would be the perfect time to take them to a petting zoo. Allowing a child to brush the family pet, help with chores around the house, and choose their own clothes gives them a sense of empowerment. While driving from one place to another make a game of counting dogs on a leash, out of state license plates, or cars of a certain color. When you make various things into a game it turns life into a joyful learning experience. One thing a child needs plenty of is free time, which gives them the opportunity to play and use their imagination. A child that has a day full of activities planned for them will not have the time to play and explore on their own. Having time to process what they have previously learned, create imaginary friends and engage in fantasy play time is essential to a child learning about life and the world around them. As a child grows using family time to read aloud, play games such as checkers or Scrabble which makes them think, and visit educational venues such as museums will engage them with visual stimuli as well as learning new information. Child-friendly plays and concerts will expose them to the arts, and local ethnic festivals will help to teach them about other cultures. Encouraging a child to study music and play an instrument may lead to a career in music if it interests them. Research has shown that those who study music while young develop superior language skills and even have higher IQ’s than their non-musical companions. If a child is not engaged in their home atmosphere and is only learning by being sent to school every day the child will come to view school as the place the “have” to go. They will come to view it much like a person who goes to a job they dislike every day, which in turn means they won’t be learning much. School should be used as another tool to teach a child, not the only tool in the box. 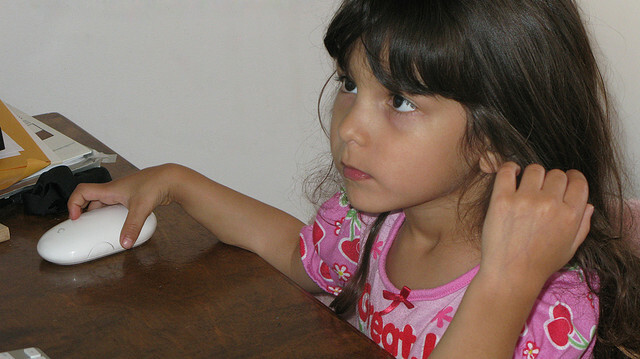 Computers are another teaching resource for parents, although time on a computer should be limited. It may be hard to steer a young person away from the PC or cell phone, but spending their entire day texting friends is not going to teach them much of anything. Another thing that is vital to a child’s learning is supporting the school a child attends. Attending parent-teacher conferences, participating in bake sales, chaperoning the school dance or simply asking the school how you can help will teach a child that you are interested in how they spend their day, and are supportive of the people who care for your child during the day.